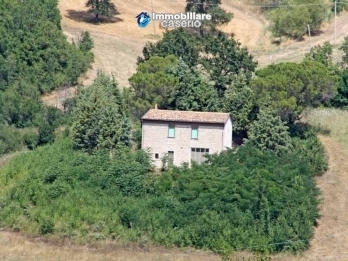 Detached house with hilly view and surrounded by 1,000 sq m of land for sale in the Abruzzo Region. 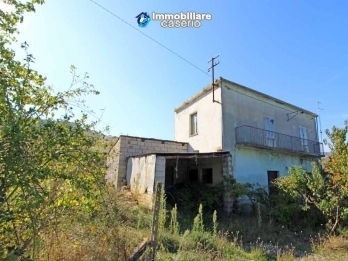 The house is spread over two floors for a total of about 80 sq m.
Independent house with land and olive trees for sale in the Province of Teramo, Abruzzo Region. 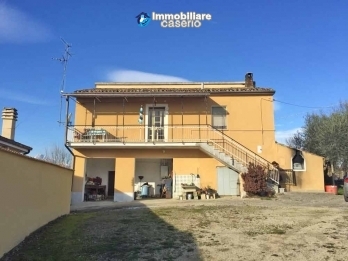 The property has two floors for a total of about 200 sq m. On the ground floor there is a garage with two doors and a cellar. 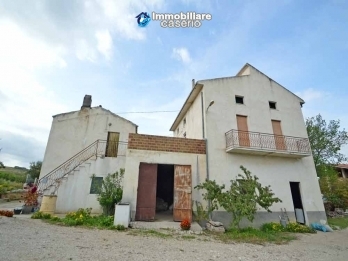 This floor needs some renovations as used as a storage. 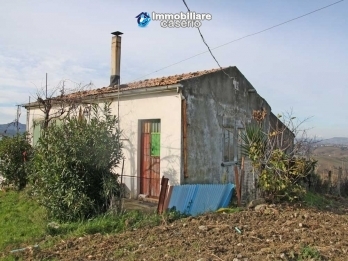 Semi-detached house in good condition with about 5000 sq m of land with olive and fruit trees. 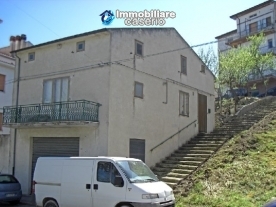 On the ground floor there are two large garages and a cellar with fireplace.